How you lead your employees has a direct bearing on the level of service your customers receive. If you’re willing to alter your approach in a few key areas, you may see a considerable improvement in the evaluation of your business’ customer service experience. These changes may take practice on your part, but implementing these leadership practices will have a positive effect on the customer experience. While it’s natural to find it easier to talk about yourself and your own opinions, you will be a more effective leader by asking questions. Asking for your team’s ideas or suggestions can help you discover new methods for making your business operate more efficiently. Asking questions of your customers can help you provide more personalized service. This will help you serve them better and that will leave them feeling positively about their experience with your business. Just as putting every idea into action can be disastrous, so can refusing to consider the opinions of others. When you ask more questions, you’ll be open to more opinions, but don’t just hear them. Consider whether or not each opinion is a good one and, if you feel that it is, implement it. This will encourage your employees to come to you with their ideas for helping your business grow and run more efficiently. Of course, the first part of this is to resist giving your word to do something unless you really intend to do it. Once you do pledge to do something, whether for an employee or a customer, be sure to follow through. 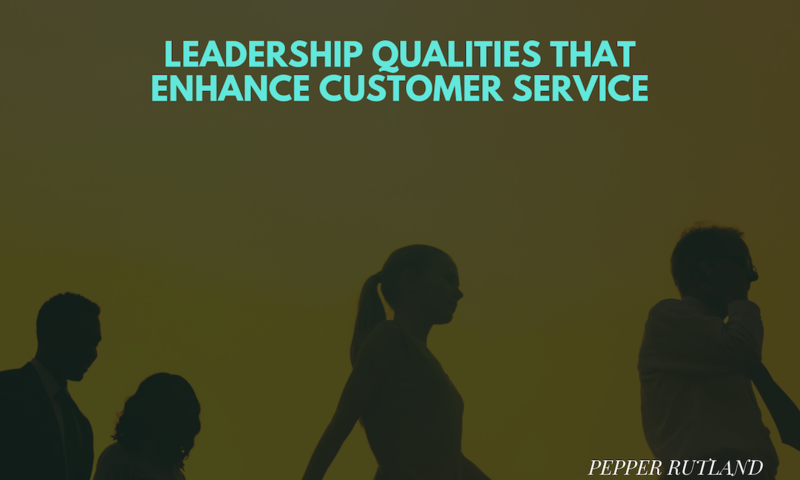 This will earn you a reputation for being a conscientious leader and that’s something that will help you sustain the quality of the customer service you provide. This simply means putting the needs of others ahead of your own. This is the type of philosophy you should employ when dealing with employees and customers, because it will help improve the reputation of your business. Consumers will realize that you take your commitment to customer service seriously, when you continuously try to address the concerns of others. This doesn’t necessarily mean always catering to the customer, but you should do what you can to appease your customers within your own ethical boundaries. Employing these suggestions may not come easy, but you’ll find that they can have a positive effect on your business. As your customer satisfaction rates begin to rise, you’ll find that your business will grow as well. Happy customers will tell others about their experiences and you’ll attract new customers who have had poorer experiences with your competitors.